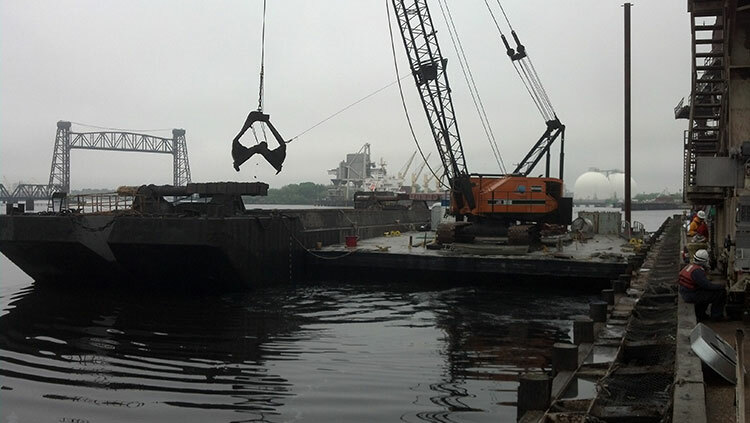 During a 2 week plant shutdown, Crofton worked 14 hours a day, 7 days a week to mechanically (clamshell) dredge along the face of the pier in order to remove areas where silt has accumulated. 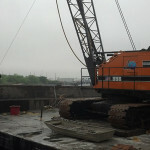 The project required between 1’ and 2’ of dredge spoils to be removed from a 60’ wide by 700’ long area. 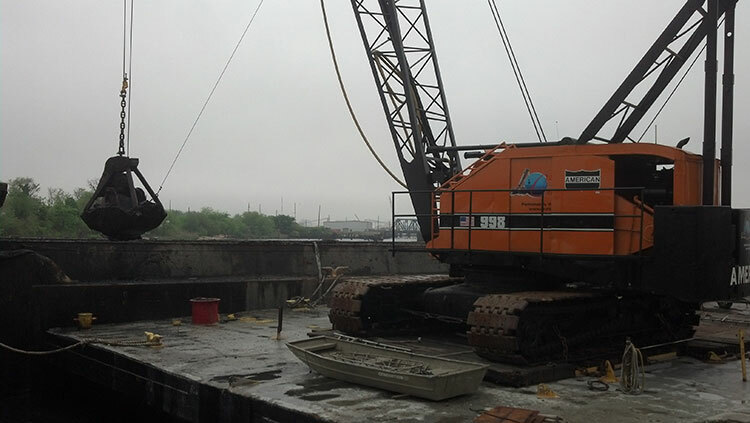 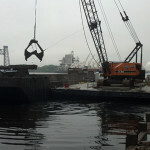 The dredge spoils were loaded into a 2000 CY dump scow and transported to a disposal facility.